Breaks my heart but as I sell these at my stall, I can't share the recipe. Sorry!! Heat the milk, salt, and sugar in a saucepan on low. Split the vanilla bean lengthwise and scrape the seeds into the milk with the tip of a paring knife. Add the bean pod to the milk. Whisk egg yolks together in a large bowl. Slowly add about half of the warm milk mixture into the egg yolks while continuing to whisk. Pour the mixture back into the saucepan. Cook over low heat (unless you want scrambled eggs! ), stirring constantly and scraping the bottom with a heat-resistant spatula until the custard thickens enough to coat the spatula. Strain the custard into the heavy cream. Rinse the vanilla bean and put it back into the custard and cream to continue steeping. Pour into a roasting dish and allow to chill in the fridge for 15 minutes. Remove and give the mixture a bit of a whisk, and put the roasting tray into the freezer. Every 30 minutes, take it out and quickly whisk it very quickly, and put it back in the freezer. Within 3 hours it should be set. If its not, just leave it in there a bit longer. I simply scooped it out and put it into an old ice cream container! So decadent. Thanks so much for these two recipes. Can't wait to try them. Your posts had me craving for some good ol baked yummies! This makes me so hungry! Alisa how strange I just made ham croquettes from your site for dinner! logging visitor? A bit of berbere seasoning and they were DELICIOUS! 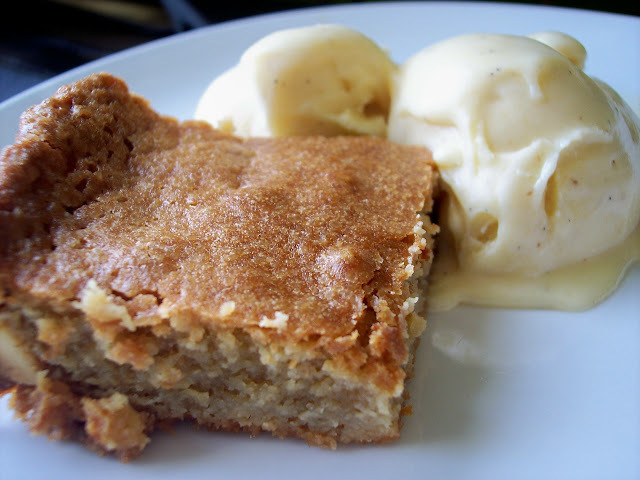 Mmmm had one of your blondies on Sunday with a cup of tea...heaven!